April 27, 2015 April 28, 2015 by Beau H.
Editor’s note: The following is a guest post by Madhav Sekar of wardrobedomination.com. Madhav’s site helps young men with limited style knowledge quickly and inexpensively improve their style to live better lives. Take it away, Madhav! We’d all be fortunate to have this many ties in our arsenal. For now, here’s a few versatile picks below. Image courtesy Shutterstock. It is essential to own the classic ties, those ones that have found their way into the closets of guys for decades on end (think a red pindot tie or a blue repp stripe tie). These are the kind of ties even presidents wear over and over again — the ones that are just that timeless. However, we all need to toss on a unique piece of neckwear from time to time. Style isn’t just about looking good or fitting a “dress code” — it’s a way to communicate and express yourself and your creativity. You want to show people that you are different and that you take risks. Disclaimer: I’m not suggesting you wear psychedelic paisley ties that look like they came straight out of a hippie’s latest hallucination… just ties with a bit of personality that will get you noticed. Here are five ties that will separate you from the herd (in a good way). A subtle pattern, great fabric, and affordable price. 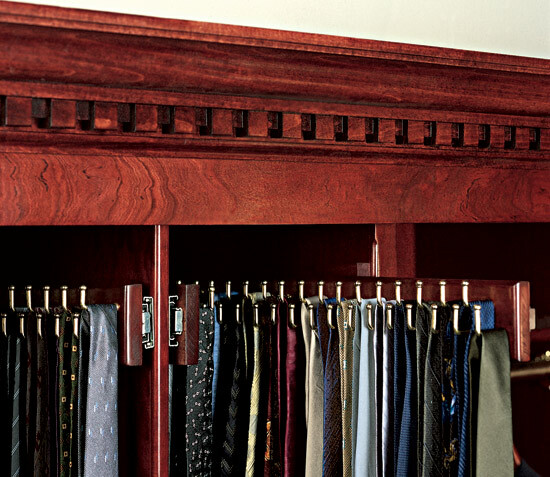 If you haven’t heard of The Tie Bar yet, you should probably start shopping there. It’s a great brand. Their ties retail between $15-$25 and they actually combine quality and looks for the price. This tie is made from chambray, a lighter fabric that makes for an extremely stylish look, particularly in warmer weather. Chambray is one of my favorite materials right now, and designers are literally using it to make every article of clothing. This tie will stand out in equal parts for its design, color and material. Gingham is a must-have for your wardrobe. It’s hard to make any sort of clothing recommendation without mentioning J. Crew. While this tie doesn’t have striking colors or crazy patterns, it will still help you stand out. I am personally a huge fan of gingham (I may or may not own five different gingham shirts). 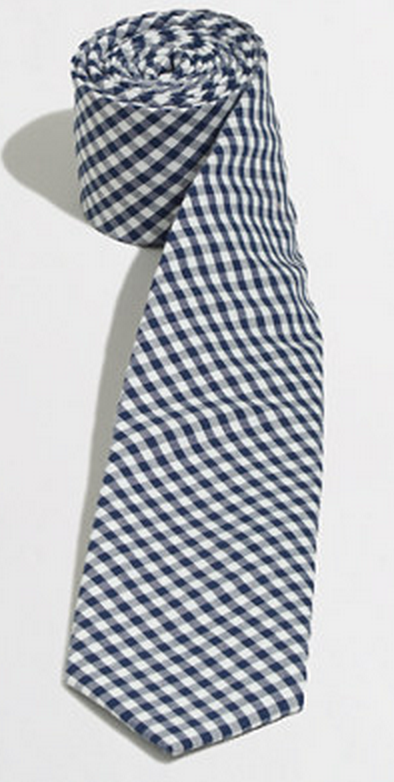 Gingham may be the most underutilized pattern in a man’s closet. 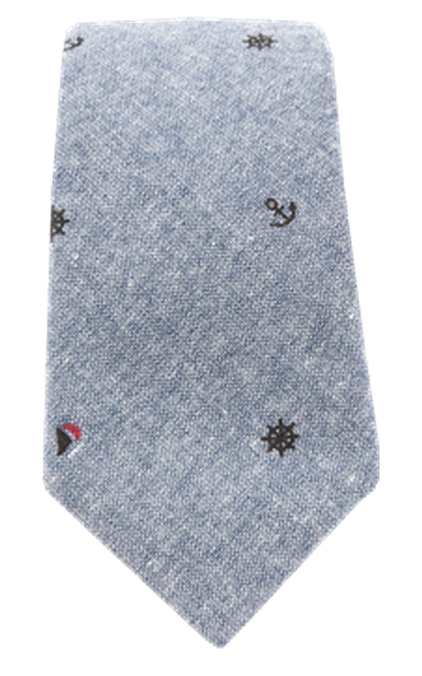 This tie can be worn in any sort of situation – for a big meeting or a more casual event. It would look especially stellar paired with a crisp khaki suit. If you need more convincing: anytime I’ve worn any gingham article of clothing, especially this one, at least two or three people have complimented me on it. Rebelling from the classic repp stripe tie. 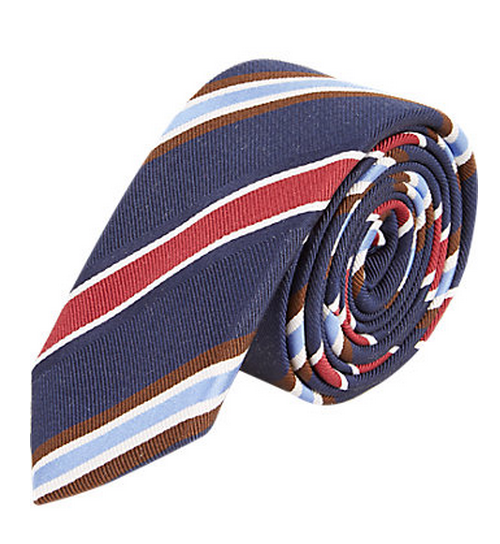 Even though this piece is a mere striped tie, it still brings a unique edge thanks to the rather unusual color blending (a couple shades of blue, some white & red and a caramel stripe, too). I love this tie because of its implications for the rest of your outfit. First, you can find a great pair of socks that complement or match this tie in terms of color. Second, the possibilities for your pocket square are endless. You can choose a square with similar color and a different texture, a completely different color with a similar texture, or something completely random! As always, you should be wearing a watch with this outfit. The other ties in this list are either too bold or not bold enough for this kind of accessory freedom. When paired with a neutral khaki suit, each piece should work quite well together. For the first time on this site — recommending you wear an insect pattern. This tie is probably the first, and last, time you’re going to see insects mentioned in any style-related context. But here they are. Ties with some creepy crawlers on them. It’s different, but different is good. I could actually imagine this tie working especially well in a formal setting. Here’s why: when you rock this tie with a nice suit or blazer you’re basically saying, no proclaiming, “I respect the workplace environment, but I’m also bold enough to explore and do unconventional things if I have to!” The chance of a promotion after wearing a tie like this increases 98-99% on average (source: too much data to cite). A note on price — try and use that student discount if you can swing it! Can you handle this tie? This tie is a bold piece – and also an expensive one. Here’s how you can justify your purchase. The chance that you’ll accidentally wear a similar tie as a co-worker or friend is basically nonexistent. You will get compliments. You will get asked about it. You will cement your position as a man who knows what he’s doing. If you need more convincing, think of this tie as an investment. You won’t get tired of wearing it and you’ll get endless happiness from looking at yourself in the mirror. Another tie that brings similar pattern for much less can be picked up from team at Harrison Blake Apparel. Tone this one down with a crisp white OCBD and a navy blazer. Another great and essential piece is the silk knit tie. This tie is super versatile in that it can be used to dress down a formal outfit or dress up a casual one. Regardless of which route you choose it is a highly stylish piece. Wearing it will definitely get you noticed. The Hill-Side has a vast selection of unique ties made out of lovely fabrics, in addition to also unique clothing and accessories in general. While these ties are a bit pricier, they are undoubtedly worth the investment. The ties by the folks over at General Knot are also well-made and similarly priced. They’re all limited edition and created using rare and vintage fabrics found all around the world (Editor’s note: Anyone have experience with this brand? Never tried them out, but curious!). Whichever selection you go with, each of the ties on this list really bring great spring & summer styling potential — from the boardroom to the bar and back. Would you experiment with any of these ties? Do you have any more suggestions? Editor’s note: Need more spring style content? I’ve been writing a series of weekly Buyer’s Guide pieces on VOUCH Mag — the next is coming up on Wednesday, April 29.